Nikin Poya Program will be observed on Saturday, August 18, 2018, from 8:30 am to 5:30 pm at the Georgia Buddhist Vihara. We invite you all to join the program. Venerable Heenbunne Kondanna Thero will be conducting the Nikini Poya Program. It can be more beneficial for the children. Children Sil Program will start at 8; 30 am till 2:30 pm. 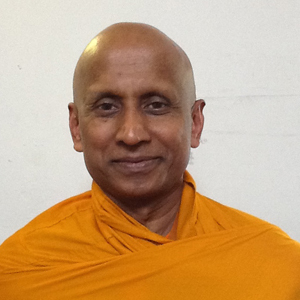 Bhante Kondañña is a Sri Lankan Buddhist Monk. He received his novice ordination in 1968, his monastic training in Colombo, Sri Lanka, and a BA in Buddhist Philosophy from University of Kelaniya also in Sri Lanka. In 1985, he came to the USA to participate and also provide his helpful skills and services at the New York Buddhist Vihara. During that time, the dignified Kondanna began to attend classes at CUNY and now holds a BS in Social Work. Moreover, in 1997, he obtained a MSW from Fordham University in New York. Bhante Kondanna believes that human beings should grow up having a spiritual foundation. He hopes that his contributions, experiences, and philosophy enrich and enhance the lives of everyone here in New York City, and wherever he wishes to bring his proficiencies. 8:30 am-8:45am -Observance of the eight Precepts, for adult and children/ Buddha Puja and Heel Dana.